6 Ways to Use Promotional Items for Everyday Marketing. Take a moment to really think about this question. How does your business use promotional items? For many a business, customized or branded items or promotional aids are relegated for use at trade shows or special events. This is, of course, a good thing: promotional items are proven to help boost sales and nab interest at special events. But the fact is, special events are only a small part of doing business. Promotional items can truly be employed all year long, and can be used to attract and retain customers on a daily basis. This begs the question: how can you use promotional items as part of your everyday marketing efforts? Here are just six easy ways to use promotional items for marketing your business on a day to day basis. These open-ended ideas can be applied to many different types of businesses. Use branded bags to pack wholesale or retail purchases. 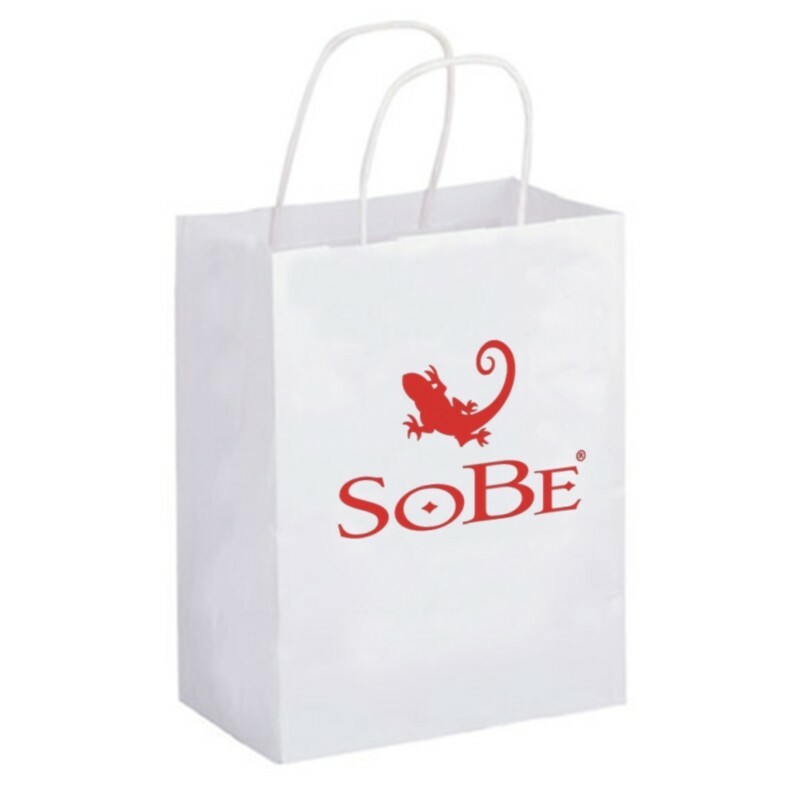 Branded bags--both printed reusable tote bags and customized kraft paper bags--offer an invaluable opportunity to market your business on a day to day basis, in either a retail or wholesale setting. If your business sells physical products, whether it’s from a store or a warehouse, you can pack purchases in your branded bags, which offers a great chance to increase brand awareness. From the customer’s standpoint, this is an impressive move, as it makes their packed order look beautiful, and it imparts a positive association with your company as being professional and polished. But the benefits don’t end there. Even after the order is unpacked, most people hold on to bags to reuse at a later point (particularly with reusable totes, but even with our sturdy kraft paper bags too!). This means that with every use, your brand will potentially have a new audience. 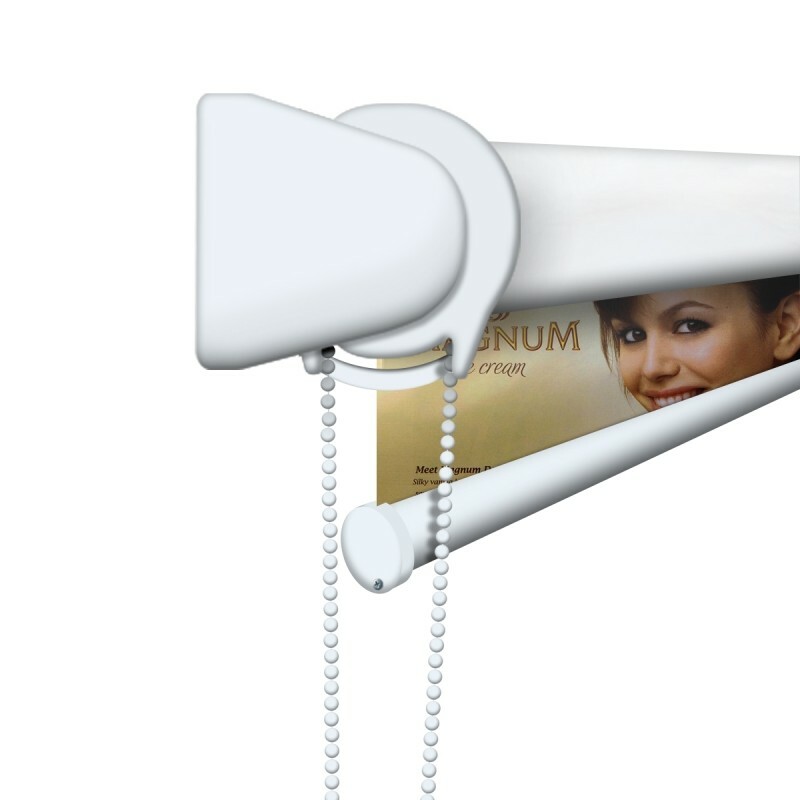 Display functional promotional items in your office or retail space. Huge display walls or retractable banners that make you stand out in a trade show might prove a bit much in your office or retail space. However, functional promotional items such as customized clocks or window blinds can simultaneously jazz up your selling or workspace and help constantly market your business. Let’s use customized blinds as an example. In a retail space, blinds might be printed with an image of a signature product or service, or perhaps just your business logo and relevant information (address, hours of operation, web address, etc). They could be employed either during very sunny days or perhaps only during your closed hours. No matter when or how they are displayed, they can provide valuable information and engaging graphics for passers-by. Even in a non-retail office space, they could be used for the same functions, but in a board or meeting room. Either way, your branding is exposed to potential customers and sends a professional message and delivers great marketing results. Use promotional items to create dynamic displays. Promotional items can be used to create engaging static displays which can increase your marketing efforts by grabbing customer attention. Sealed inflatables offer a great fantastic example of how promotional aids can be used to create displays. For example, customized sealed inflatables could be used to decorate a window display for your retail business, or they could be used to create a lobby display in a corporate office. Wherever they are placed, they offer attention-grabbing marketing and make people take notice of both your company branding and give them an idea of your company culture. Offer promotional items as customer gifts. Everybody loves a freebie. While many businesses will offer trade show swag, few of them think to offer their customers these “treats” during the rest of the year. Offering promotional items as a gift can be a simple gesture that brings huge results. It might be a free gift with purchase; for example, you might slip a pair of branded sunglasses in the bag when a customer spends over $50 in your retail store. Or maybe you offer customized travel cup holders or custom printed aprons as part of a specific product launch. Either way, people will make use of these promotional items, and thus expand your marketing reach. Install promotional items in a lobby or common area. Even if your business doesn’t have a retail storefront, promotional items can still act as an engaging and eye-catching display unit. Your lobby, common area, or meeting room can be garnished with promotional items, be they branded furniture, a promotional game, or even a retractable banner. Remember to display items in common areas like this where you have a captive audience. As customers are meeting with you or waiting for an appointment, they will enjoy your memorable display and your branding will be etched in their mind. Partner with a local business to display promotional items. For some businesses, displaying items in a retail, showroom, or office space doesn’t really work. This might be due of the size of the company or the location, or any number of other reasons. However, there is another option for exposing your brand to customers on a daily basis: partner with a local business. Say for instance that you own a vodka company and want to promote your brand. A lobby display might not be reaching your target audience, which is customers ordering cocktails. However, you could approach a local restaurant or cocktail bar and see if they would be open to using market umbrellas featuring your branding. This might expose you to a whole new demographic, plus passersby will come across your business in a way that they might not have otherwise. Conclusion: While the majority of business owners are well aware of the benefits of promotional items for special event and trade show marketing, few think to use promotional items on a day to day basis. The fact is, promotional items are far more useful than mere trade show props! They can help spread the word about your company and improve the reach of your branding. Be sure to incorporate promotional items into everyday marketing efforts for the most return on your investment! What type of promotional items does your business use for marketing?